The Xbox One is right here. Did you grab one for yourself? If you did, then its time you need to familiarize yourself with the Xbox One’s Voice commands. 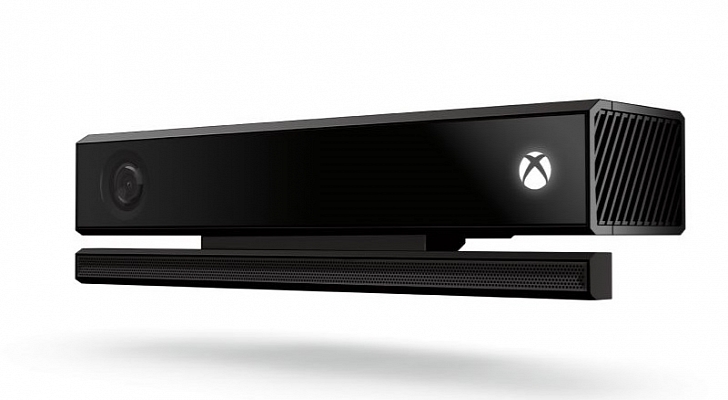 As you would have already known, the new generation Kinect bundled with the Xbox one makes very effective use of voice commands to reduce any physical interaction on the users part. Most probably you would have already seen it in the demonstration videos provided by Microsoft. All in all , the new Kinect has more than 40 voice commands and it would be really helpful for you, if could memorize all of them. Doing so would help you to control the Xbox from your couch itself. which means no more interruptions during your gaming session. 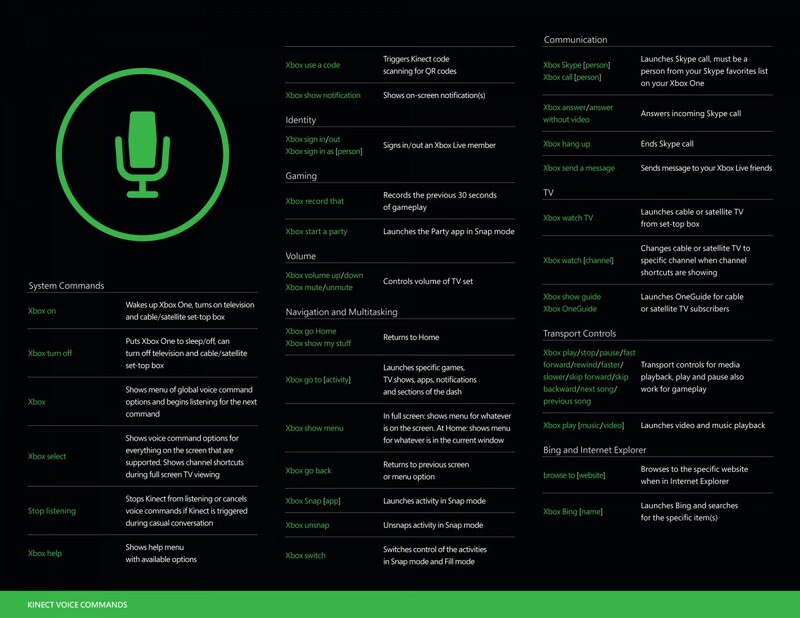 Microsoft wont be bundling these voice commands with the Xbox One, because as of the time these cheat sheets were prepared, the consoles were already shipped. Instead Microsoft will be putting them up for free download from their website. But there is still time for that, Meanwhile we have got you the entire list of more than 40 voice commands for the Xbox One, all downloadable in a single PDF document. 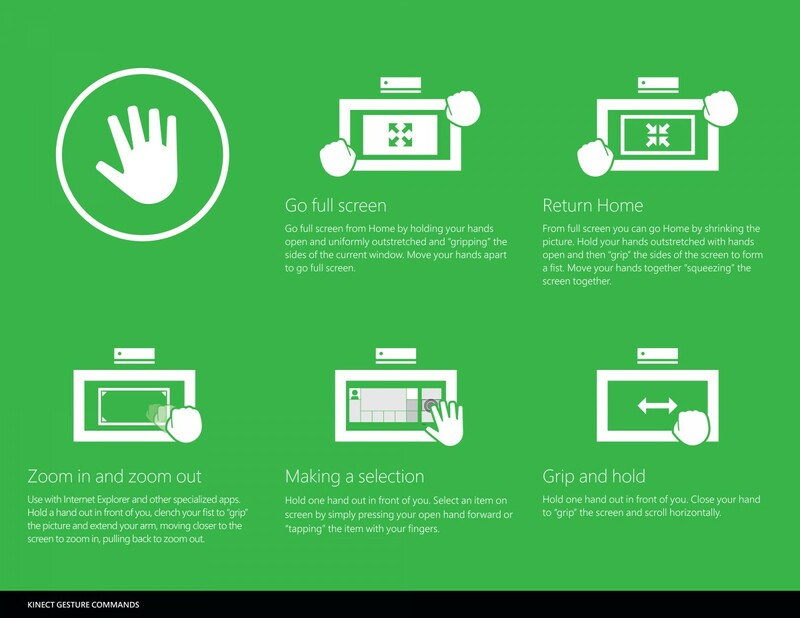 We have put images of the Xbox One cheat sheet for Kinect voice commands below. Click on these images to Download the full resolution version of these images. Alternatively you can Download all the Kinect voice commands from this Zip file.